Zcash (ZEC) is a decentralized, private cryptocurrency offering selective transparency of transactions. Its payments are published on a public blockchain while the transaction details remain private. Zcash is an open-source code and the first open, “permission-less” cryptocurrency to utilize zero-knowledge cryptography. Zcash relies on peer-reviewed cryptographic research and is built by a security-specialized engineering team on an open source platform. Zcash is based on Bitcoin Core’s codebase after the hard fork of Bitcoin. Zcash’s main improvement over Bitcoin is additional privacy. Zcash uses advanced cryptographic techniques, most notably zero-knowledge proofs, to guarantee the validity of transactions without revealing additional information. Just like Bitcoin, Zcash has a fixed total supply of 21 million units. The initial Zcash protocol was launched in 2014 as “Zerocash.” Zcash as we know it was developed through collaboration with Zerocoin researchers at John Hopkins University and cryptographers at the Massachusetts Institute of Technology, the Technion, Israel Institute of Technology, and Tel Aviv University. Through this collaboration they improved upon the efficiency and privacy of the original protocol. The Zcash Project was formally announced by ZECC CEO Zooko Wilcox-O’Hearn on January 20, 2016 as an evolution of the existing Zerocoin Project by Matthew Green, Ian Miers, Christina German, Aviel D. Rubin, at the John Hopkins University Department of Computer Science, Baltimore. With the new Zerocash protocol, users can make direct payments to each other with increased efficiency and privacy. Why does Zcash have value? As of March 22, 2018, Zcash was trading at $249.24 each, with a total market capitalization of $881,838,024 million according to coinmarketcap.com. So, what gives it value? Zcash encrypts the contents of shielded transactions and relies on a novel cryptographic method called zk-SNARK (zero-knowledge proof construction) to verify their validity. These constructions allow the network to maintain a secure ledger without disclosing the entities or amounts involved. Instead of publicly demonstrating spend-authority and transaction values, the transaction metadata is encrypted and zk-SNARKs are used to prevent fraud. Zcash also enables users to send public payments similar to Bitcoin. With shielded and transparent addresses as options, users can choose to send Zcash privately or publicly. Fungibility is an important function of currency vital to the future of cryptocurrency. Because Bitcoin is pseudo-anonymous, the altcoin space is trying to capitalize by filling the role of private zero-knowledge transactions. In order to remain equally interchangeable, units of cryptocurrency must be unlinked from their history to ensure that one unit is equal to any other unit. Zcash provides fungibility by unlinking shielded coins from their history on the blockchain to operate as a truly fungible coin. Zcash pioneers the use of zero-knowledge proof by applying blockchain technology. This allows fully encrypted transactions to be confirmed as valid and enables the creation of entirely new classes of applications. Zcash was mined for the first time on October 28, 2016 with the release of 1.0.0 “Sprout.” Zcash relies on Equihash, which is an asymmetric memory-hard proof of work (PoW) algorithm using high RAM requirements to bottleneck the generation of proofs. Currently, Zcash mining is possible via Graphics Processing Units (GPU) and Central Processing Units (CPU); however, it remains application-specific integrated circuit (ASIC) resistant because of the Equihash algorithm. In hopes of creating a more decentralized set of miners, the intended hardware for mining Zcash tokens are standard GPUs and RAM. There are two ways to mine Zcash: with your own GPU rig or CPU or via cloud mining. At this time, Zcash is available for purchase through five primary exchanges: Shapeshift; Poloniex; Bittrex; Bitfinex; and Bitsquare. Shapeshift is currently the easiest way to buy Zcash and their website assists in completing successful transactions. If you prefer a platform that temporarily guarantees a certain purchasing price, then Shapeshift is the best choice. If you would like to buy Zcash through Poloniex, Bittrex, or Bitsquare, you must set up an account and deposit funds. 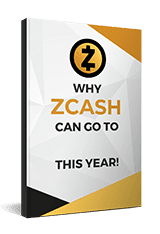 Each exchange offers a different environment for acquiring Zcash because you must buy it by fulfilling other traders’ sell orders, resulting in sometimes widely varied prices. There are three main types of wallets available to download and hold your Zcash: Web-based Wallets; Paper Wallets; and Cold Storage Wallets. Zcash for Windows is not yet officially supported nor has an official release date of a Zcash node for Windows been announced. However, developer @radix42 has produced an experimental Zcash node running on Windows that can be combined with the Zcash desktop GUI wallet. Please, note this is very new and experimental; users should be cautious if they use larger amounts of Zcash. Instructions on how to run a Zcash node and the Zcash desktop GUI on Windows can be found on their website. This wallet is most suitable for users and miners who work on desktop systems and want full control of their Zcash private keys. GUI wallet features include: balance/fund amounts; history of transactions; management of Zcash address; and the ability to send Zcash. Complete information on how to install the Zcash Desktop GUI can be found online. Users who are less experienced with navigating the command line can use this user-friendly installation outline and usage guide. This wallet allows users to access their Zcash wallet remotely via a Web UI which is ideal for managing multiple systems mining Zcash. UI wallet features include: balance/fund amounts; history of transactions; management of Zcash address; and the ability to send Zcash. Complete information on the Zcash Desktop GUI can be found on their website. On November 1, 2016, Decentral, the creators of the Jaxx wallet, announced Zcash’s integration with Jaxx was complete. Jaxx is a multi-token blockchain wallet offering a unified experience across 9 platforms and devices including: Windows, Apple, Linux desktops, and Apple and Android mobile devices as well as Google Chrome and Firefox extensions. The Jaxx wallet enables crypto-to-crypto transactions with frictionless in-wallet conversion. Users are always in control of their keys; Jaxx never holds nor has access to customer funds. It is recommended to use a hardware wallet like the Ledger Nano S or the TREZOR. TREZOR wallet announced in January of 2017, that its 11.1 Wallet Release and 1.4.2 Firmware upcoming release will support Zcash. Currently, TREZOR Wallet only supports T-addresses due to the hardware limitations of the device and the requirements of Z-addresses. The Ledger Nano S does support Zcash; to move your Zcash onto the Nano S, make sure your firmware is updated to the latest version, then open the Ledger Manager, find the Zcash app, and download it. These two cryptocurrencies are often compared for their privacy features. One issue with Bitcoin is your wallet address essentially compromises your privacy. Giving anyone your Bitcoin wallet address to send you a payment intrinsically compromises the privacy of that particular wallet. Because Bitcoin’s blockchain is public record, anyone can see the corresponding wallet’s balance in perpetuity. The Bitcoin community has attempted to solve this privacy issue by introducing “mixing” features. While Zcash is superior in terms of privacy versus Bitcoin, the latter dominates in terms of price, acceptance, developer team, security, wallets, and liquidity. Zcash, as a niche altcoin, is not as easily purchased as Bitcoin which can be bought on local ATMs and from friends. Purchasing Zcash is mostly limited to major exchanges including: Poloniex, Bittrex, Yuanbao, BTER, Kraken, Bitfinex, HitBTC, and Yunbi. Any exchange selling Zcash most likely sells BTC as well, (and, most likely, more of it). Both Zcash and Bitcoin saw impressive gains over 2017 followed by a drop towards the end of that year and early 2018. Essentially, Bitcoin has long established itself as the gold standard of the crypto world, whereas Zcash is still quite volatile. Because it is riskier, Zcash might be more rewarding than Bitcoin. If you’re trying to hedge your money against fiat currency, Bitcoin is a better choice. Since Zcash is a Bitcoin fork, its confirmation process is largely the same as Bitcoin. However, Bitcoin’s current saturation gives Zcash faster transaction speeds. Zcash’s main selling point is its anonymity. Bitcoin is actually only pseudonymous, not anonymous, meaning that Bitcoin transactions can be seen and tracked by anyone. However, that one would know who is making those transactions is not very likely. Zcash, on the other hand, is intrinsically anonymous; its transactions are not open to the public meaning individual identities cannot be tied to the activity of a particular wallet. Bitcoin, the originator of blockchain dating back almost a decade, is much more widely accepted than Zcash. However, the adoption of Zcash is gaining significant traction especially now that major Wall Street investors have taken a significant stake in Zcash. Zcash is a fork of the Bitcoin Blockchain; the two cryptocurrencies share a lot of the same groundwork. However, the Bitcoin core team boasts developers with an unparalleled amount of experience. The Zcash project is open-source and available on Github and spearheaded by a competent project manager, Zooko Wilcox. However, Bitcoin’s development team dominates in terms of technical skill and experience. Zcash mostly has local wallets (Bitcoin’s core wallet analog) as well as a few online wallets, hardware wallets, and exchanges. Zcash differs from other altcoin in that it’s supported on popular hardware wallets like Trezor and Ledger. Bitcoin, on the other hand, has countless hardware wallets manufacturers, HD wallets (wallets with detailed functions), online wallets, and exchanges. Unless Zcash experiences a sudden surge of consumers, Bitcoin will continue to dominate in this area. Bitcoin is by far the most liquid cryptocurrency currently in existence simply because most exchanges require you to trade Bitcoin for altcoins. So, even if Zcash had a very large liquidity compared to other altcoins (which it doesn’t), then it would still ultimately contribute to the liquidity of Bitcoin.